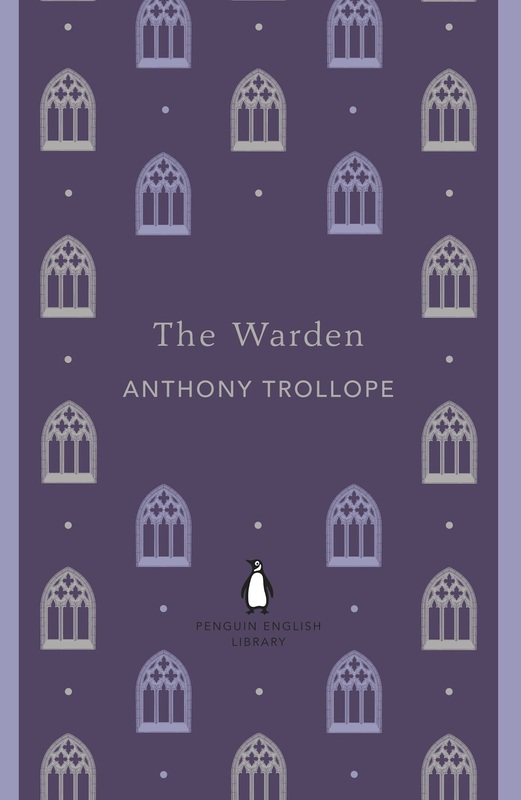 A Literary Odyssey: The Warden by Anthony Trollope. 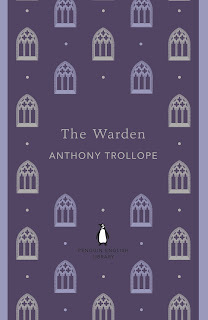 The Warden by Anthony Trollope. "One evening call," said he, "is worth ten in the morning. It's all formality in the morning; real social talk never begins till after dinner." In an attempt at reading Barchester Towers a year or two ago, I realized that it was the second book in a series. And while I knew that I could read it out of order, my little, orderly book-loving heart would be happier with reading the first book, well, first. Cue the new Penguin English Library editions and their wonderful inclusion of the entire Barsetshire series (not all are published right now, just the first two). I immediately ordered both of them and waited for them to arrive on my doorstep (I am in love with the covers-they are designed by the same woman who did the clothbound covers. Yes, I have an obsession). I dove into The Warden not really knowing what to expect. I haven't read any other Trollope, so I wasn't sure whose style he was closest to or what to expect. Basically, The Warden is about the will of John Hiram. In Hiram's will, he left behind funds to support a warden and 12 needy men. The funds were distributed according to need and the men were supposed to be able to live and be supported by the Church and the warden. Now, years later, there is unease in the two about how much the warden, Harding, is actually being paid and how much money the 12 men are getting. Harding is caught in the middle of the kerfuffle and there is uproar against the Church for abusing funds and against Harding for being a greedy old man. Now, while I enjoyed the story and thought it was a great introduction to Trollope, I have to complain about the amount of rambling Trollope decided to throw in. For a book of only 240 pages...well, there was too much fluff. Trollope would be discussing a conversation that was about to happen..and then, oh look, birds out the window! Or, the men would be gathering to talk about how they want more money to live off of each year and then...oh yay, a tree! A glorious tree! Look at how it has been here since the beginning, how it reminds us all of the generosity of Hiram. Don't you know that Hiram, that noble, generous man, was the one who donated the money? What a glorious man! After awhile, I just accepted the fact that Trollope would, you know, trollope along (yes, I used his name as a verb). I fell into Trollope's rhythm and eventually began to enjoy it. :) So, my complaining was for naught. "You might pass Eleanor Harding in the street without notice, but you could hardly pass an evening with her and not lose your heart." I loved her passion and drive, and her desire to make things better for her father when everyone began to harass him. She was a spirited little thing and I really loved her as a person. She did what she needed to do to protect her family-that's admirable. (And on a side note, I really love the name Eleanor). I enjoy Trollope's style, but, yes it did take a little getting used to! 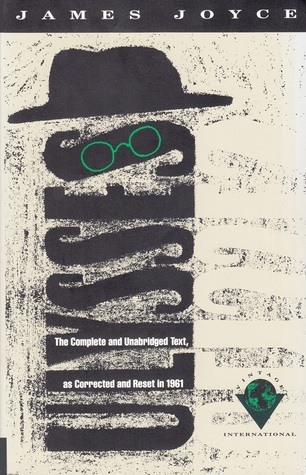 I really enjoyed the Barchester books! Barchester Towers is such a great book with some really memorable characters!!! There is no better word to describe his style. "I have to complain about the amount of rambling Trollope decided to throw in." I've heard this from quite a few people.. it makes me worry because I tend to hate this sort of thing. I hate it when Proust does it and I hate it when Radcliffe does it, and I imagine I'll hate it when Trollope does it! Lol But, unlike Swann's Way or The Mysteries of Udolpho, which are 600-or-so pages long, this one should be more managable. It's up next on my list (after Germinal which, by the way, is like 10th in a series of books whose predecessors I have not read! I'm like you - I like to start at the beginning.. but, so far, it doesn't seem necessary with Germinal. Hope that holds true!). I think it's OK to jump in the middle of Zola's series, because Zola presented different conflicts on each book. The 'red thread' is only the relationship between each major characters. I'm usually not a fan of rambling either, but it is so entertaining when he does it. He just seems so...happy. Like nothing else could make him happier than describing the leg of the desk. It cracked me up. I think Zola's works are more stand alones, just loosely related. Besides, a lot of them aren't available in good translations, so if you try to read them in order, it could be difficult if you don't read French. I agree that The Warden took forever to go anywhere, but after reading Barchester Towers, I think they make more sense if you read them in order. Doctor Thorne is more of a stand-alone but more of the characters tie in when you read Framley Parsonage. I haven't read The Small House at Allington yet but I've heard everything ties together in the last volume. I have also heard that some of the Pallisers novels stand alone well, like The Eustace Diamonds, though I haven't read any of them yet. Trollope is very high on my list for August/September after my "required" reading eases up a bit. I've got The Warden, have started it a few times, and this time I'm going to finish. Once I got into it, I had an easier time. I just needed to adjust to his style a bit! Haha. I found out about these editions maybe 2 or 3 weeks ago...I have quite a few sitting on my shelf now. :) It helps that they're a bit cheaper than the clothbounds. I read The Warden last year and liked it a lot - even the trolloping ( love that), a verb that I'm sure will stay with me as I read Barchester Towers in July. I think I will always associate Trollope with trolloping. :) There is no other word. Haha. :) I couldn't think of another word! Hmm...I've been trying to decide what Victorians I'll read this summer, and now that you've reminded my that I own this, I might pick this one up. I've never read any Trollope, but the sound of his works has always appealed to me. 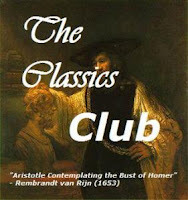 I have read the first three Palliser novels....I'm very curious to read a SHORT Trollope novel. He does go on and on. I'm not crazy about his style but I do want to give The Warden the Barchester books a try some day. Maybe when I'm done with the Pallisers. A Victorian Celebration Giveaway Contest. Warbreaker Post 5: Chapters 50-END. Weekly Wrap-up for June 24, 2012. Book 146: Starting Middlemarch by George Eliot. Why I Continue to Push Myself. Top Ten Tuesday: My Summer TBR. Warbreaker Post 4: Chapters 35-49. Weekly Wrap-up for June 17, 2012: Saying Goodbye. Giveaway Winners (A Victorian Celebration). A Victorian Celebration: Shirley Giveaway! Guest Giveaway! (A Victorian Celebration). Warbreaker Post 3: Chapters 24-34. A Victorian Celebration: International Giveaway! North and South Giveaway Winner! Warbreaker Post 2: Chapters 13-23. A Victorian Celebration Master Post.